Sun Stone (Surya Kant Mani) – It is of Felspar group (hardness6; sp. gravity2.57; R.indexl.5). It is reddish spangled stone. The spangle being due to included flakes of Haematifa. It is a sodium calcium plagioclase. It is found in Norway, Finland & Bohemia. It is a substitute for ruby. Sardonyx- Sardonyx is chalcedony layered with brown sard. It is used as substitute to Red coral and promotes courage and fearlessness. This stone is used to promote good conjugal life, ending domestic strife, providing communication and relieves depression / despondency. It also gives eloquence to lawyers/ public speaker. White Coral- Sp.gravity 2.65, R.Index 3.25. This is opaque, shining white and a porcelain like appearance. It is a cheap substitute for White Pearl. It should always be got set in silver with a weight of 6-10carats. It purifies all levels of your beings-physical, mental & emotional-by deflecting negative and harmful influences. It maintains feeling of security. Sard- Sard is reddish yellow to brown variety of Quartz related to Carnelian. It is thought to be more effective for women then for men. The stone is ruled by Mars and is a substitute for Red Coral. It promotes courage and self-confidence to defeat negative spells. It is given to woman in labour to facilitate trouble free childbirth. Sodalite- It is a deep blue stone veined with white. It is often mistaken with a Lapis- Lazuli but lacks golden flecks of the later. It heals emotionally related diseases or those caused by stress, nervousness, anger or fear. It relaxes mind and body & promotes wisdom and meditation. Carnelian (Jasper) – This stone belongs to chalcedony group of Quartz. Hardness-7, Sp-gravity- 2.6, refractive index- 1.5, composition – silicon oxide. It is very popular due to its pleasing red colours; it is a cheap substitute for Red Coral and is found in Brazil, Uruguay, Japan & India. It is also used to arouse one’s sexual desire. Jade lite – It is of the family of Chinese Jade. Hardness-6.5, Sp. Gravity-3.4, Refractive Index- 1.63. It is opaque and its colours very from apple green to emerald green and greenish white to white. It is found in Burma, Tibet, and China & Mexico. It is a substitute for emerald and is semi precious. Chinese believe it prevents fatigue, cure kidneys and prolong life. Suleimani- It is a cheap stone popular among muslims. It is of black colour with a white stripe on it. It is also found in brown colour, called Alaimanu; and if in brown colour with a white strip, it is called Jajemani. These are all from onyx family as substitute for Emerald. 9. Zircon (America diamond) – It is colourless and a very poor substitute for diamond but not very effective. Chemically it is of Gomedha family. 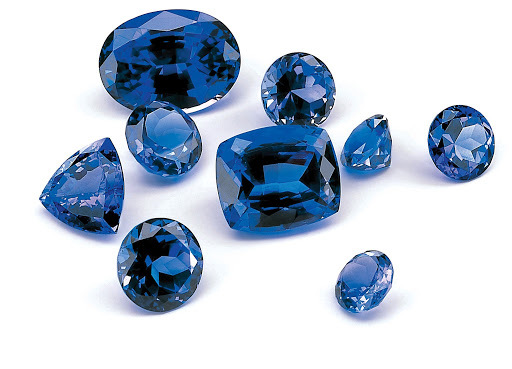 Best zircon comes from Sri Lanka. They are also found in Australia, Russia, India & USA. Rock Crystal (sphatik) —It is of quart family It is colourless, semiprecious stone, found in Brazil, Japan, Russia, Hungry and India. When cut and polished, it is a beautiful stone. It is a cheap substitute for diamond but not very effective. Blood Stone (Pitaniya) This stone is also of quartz family. It is opaque, dark green in colour with blood red spots. It is generally used as a birthstone to infuse courage, power and stop bleeding but is not recommended for ladies. Tsavora — It is a member of Garnet family and resembles an emerald. It is clearer, more brilliant and more durable. There is also a rarer green garnet with brown strip on it called Demantoid, which although softer, has more fire. These are fine cheap alternative to emerald.